Beyoncé's new song has been called by many names--"Girl," "Girls," "Girls (Who Rule The World)" and "Girls (Who Run The World)," but, thankfully, a release on iTunes has clarified the confusion. 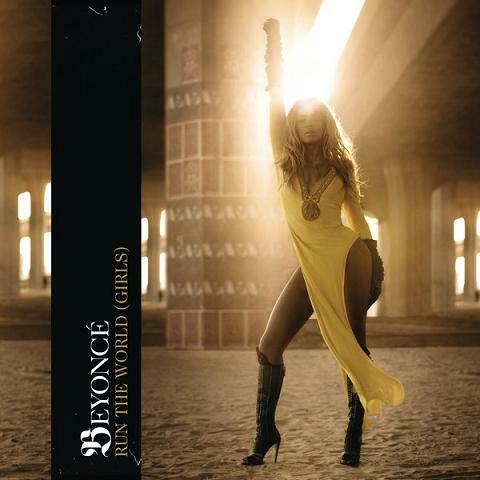 "Run The World (Girls)," her hotly-anticipated new single, had its release on iTunes this morning. The single premiered just days after her former collaborator, Lady Gaga's, new single "Judas" made its iTunes debut. Buzz around the blogosphere suggests that Gaga and Beyoncé will soon battle for the No. 1 spot on iTunes and the Billboard Hot 100. The title of Beyoncé's new album, and its release date, have yet to be announced. SIDE NOTE: Hey guys! Could you do me a huge favor and click the "Vote" button on the purple widget to the right (at the top)? I'm competing in a sponsorship contest with Prilosec OTC and the more votes I get, the greater my chances are of winning. I would really appreciate it. Muchas gracias! !